Sony a5100 vs a6000 vs a6300 vs a6400 vs a6500 - Which to Buy? Home / Compare / Sony a5100 vs a6000 vs a6300 vs a6400 vs a6500 – Which to Buy? 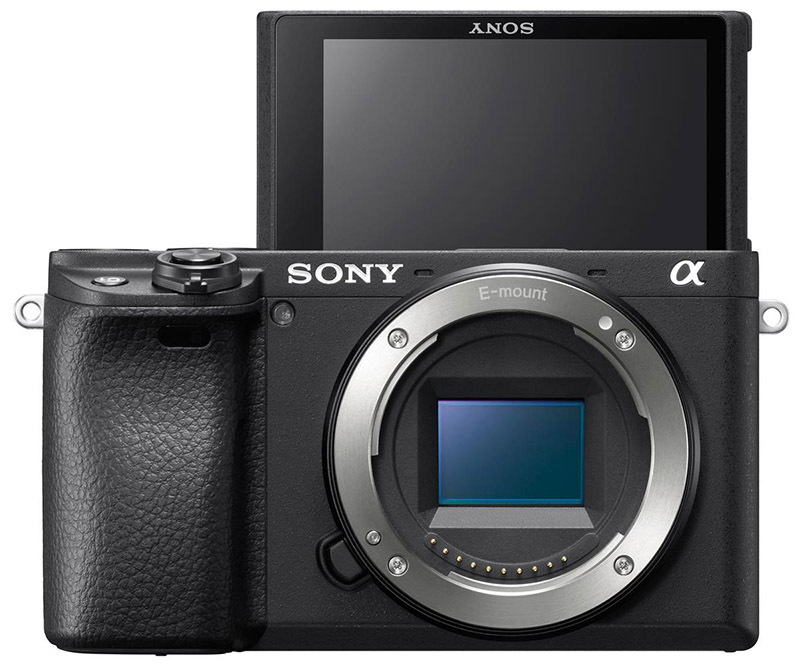 The Sony a6400 is the most recent model to be introduced to Sony’s mirrorless APS-C series which also includes the Sony a5100, a6000, a6300 and a6500. 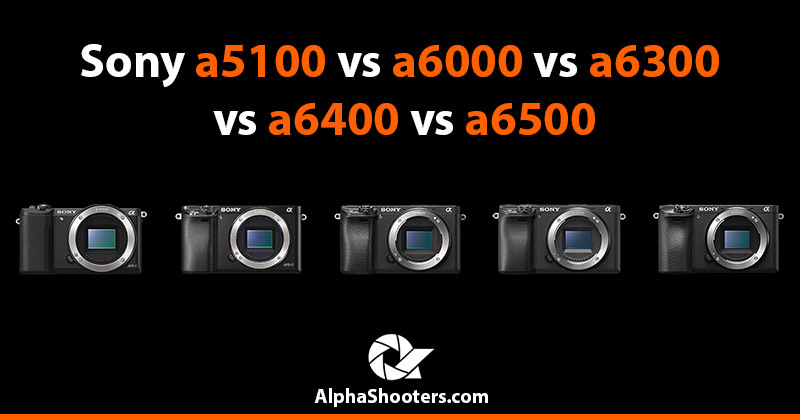 The a6400 brings with it many similar features found within the existing line-up, but also adds some interesting new features that even the range-topping a6500 does not include. If you are thinking about adding one of these cameras to your gear bag, then you are probably wondering what the differences between them are and which camera is best suited to your needs. So now lets compare 12 key differences between these five Sony mirrorless APS-C cameras and hopefully add a little more clarity to your buying decision. 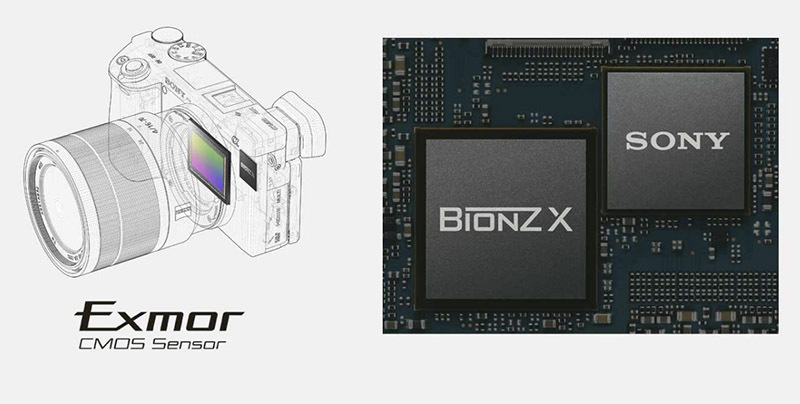 All five cameras feature a Sony APS-C Exmor CMOS sensor with approximately 24 megapixels, the BIONZ X image processor and a front-end LSI. Unfortunately Sony does not provide the exact specifications of their sensors or processors and often just mentions “new generation or newly developed” in their marketing literature. However, clues about each cameras performance can be attained from ISO sensitivity ranges, autofocus performance, continuous shooting speed and video performance all of which I’ll cover below. The a6300, a6400, and a6500 all support 14-bit raw output, this compares with 12-bit for the a5100 and a6000. None of the cameras support uncompressed raw, so if this is important to you then you’ll need to take a look at Sony’s A7 series of full-frame mirrorless cameras like the a7 III, a7R III or a9 which do support uncompressed raw. Autofocus is one of the areas where we start to see some differences between the cameras, these differences include the time taken to acquire focus, the number of phase and contrast detection points, as well as features like eye AF, animal AF and real-time tracking. Both the a6500 and a6300 take 0.05s to acquire autofocus, yet incredibly the a6400 requires just 0.02 seconds, which if you believe Sony’s marketing material makes it the fastest autofocus system in the world at the time of writing. Sony doesn’t mention the AF speeds for the a6000 or the a5100, but I own the a6000 myself and know from personal experience that it is slower than both my a6300 and a6500. The a6500, a6400 and a6300 all have 425 phase-detection AF points that cover 84% of the image area and help to capture subjects more accurately no matter where they are positioned in the frame. Both the a5100 and a6000 have 179 phase-detection AF points. When it comes to contrast-detection the a6400 is the clear winner with 425 contrast-detection points, followed by the 169 points for the a6500 and a6300, and 25 points for the a6000 and a5100. All five cameras support Eye AF (images only), but the new a6400 also allows you to specify 3 different options: left eye tracking, right eye tracking, or auto. It also works automatically when you half-press the shutter button, with the other cameras you need to assign eye AF to a custom button. Both the a5100 and a6000 only support Eye AF in AF-S (autofocus single shot) mode, whereas the a6300, a6400 and a6500 also support it in AF-C (autofocus continuous shooting) mode. The a6400 will also receive an update during summer 2019 that will enable Eye AF for animals, making this a dream camera for wildlife photographers. As a wildlife photographer myself there is nothing more annoying than thinking you have nailed the focus only to see that the eyes are out. So personally I’m very much looking forward to this feature which will also be added to the Sony a7 III, a7R III and a9 through a firmware update. Sony has not said if the a6500/a6300/a6000/a5100 will also receive animal AF updates this year, so I don’t think I’m going to be holding my breath here. The a6400 manages to trump the other four cameras including the range-topping a6500 with a new real-time tracking feature. With the real-time tracking function you can simply touch the monitor to activate Real-time Tracking for either stills or movies. 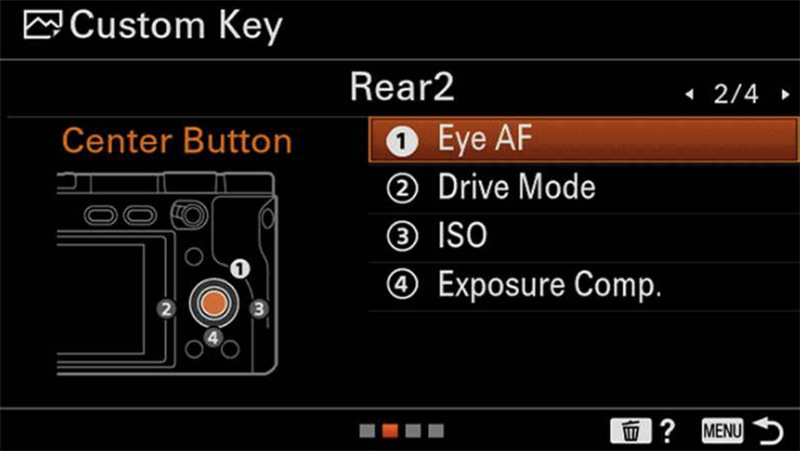 The camera will instantly lock onto the target subject and keep it in constant focus. 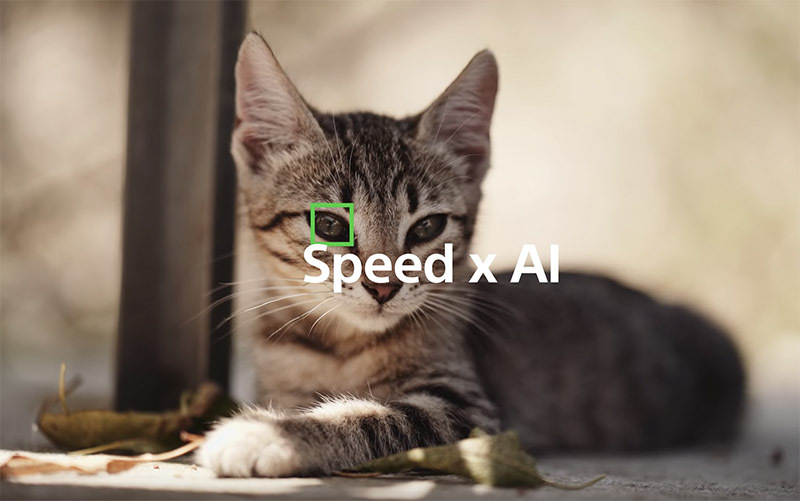 This is possible due to a newly developed subject recognition algorithm that processes spatial information based on color, subject distance (depth), pattern (brightness), and face and eye information at high speed in real time. Here’s an example of real-time tracking in action. The Sony a6500 is the only camera of the five that includes In-body Stabilization (IBIS). The 5-axis (X, Y, Roll, Pitch and Yaw) image stabilization system compensates for five types of camera shake during handheld shooting of still images and movies. When you mount a lens that features OSS (Optical SteadyShot) to an IBIS camera body like the a6500, then the camera body only handles the X, Y, Roll and disables its own Pitch and Yaw axis. I mounted my Sony FE 100-400 OSS lens to both my a6300 without IBIS and my a6500 with IBIS to see if it made any difference, but even at 400mm I didn’t notice any significant improvement in stabilization with the a6500. So IBIS only really becomes useful if you are shooting with lenses that do not include OSS built in. 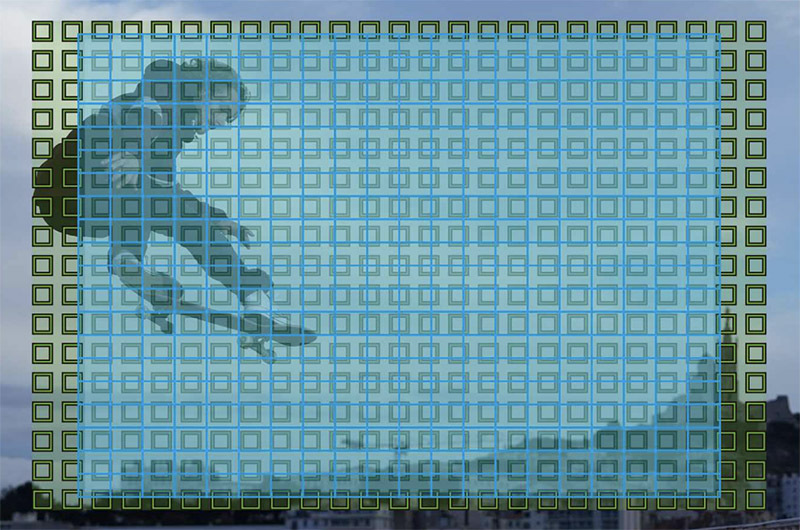 In this scenario it will help to stabilize your images, especially when using a longer focal length. Sony claims that you can reduce your shutter speed by around 4x and still shoot pin sharp images. 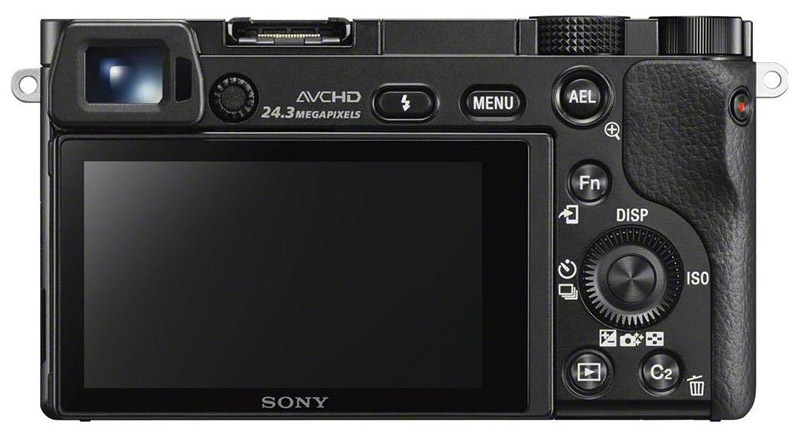 The a5100 is the only camera from the five that does not include an electronic viewfinder, relying instead on the LCD screen which can be difficult to see in bright sunlight. The a6000 EVF has a resolution of 1.4 million dots, whereas the EVF on the a6300, a6400 and a6500 all have a much higher resolution of 2.4 million dots. All five camera feature a 3-inch LCD screen with 921k dots of resolution. However, only the a6500 and a6400 feature touch sensitive screens that allow you to touch to focus. The a6400 touch screen is the most advanced as this also lets you trigger the shutter by touch and also control the new real-time tracking feature by touch. Only the new a6400 and the a5100 allow you to rotate the screen up 180° for selfies and video logging work. The a6500, a6300 and a6000 only let you tilt the screen up by approximately 90 degrees and down by approximately 45 degrees. All five cameras can shoot up to a maximum shutter speed of 1/4000s with both the mechanical and electronic shutter. 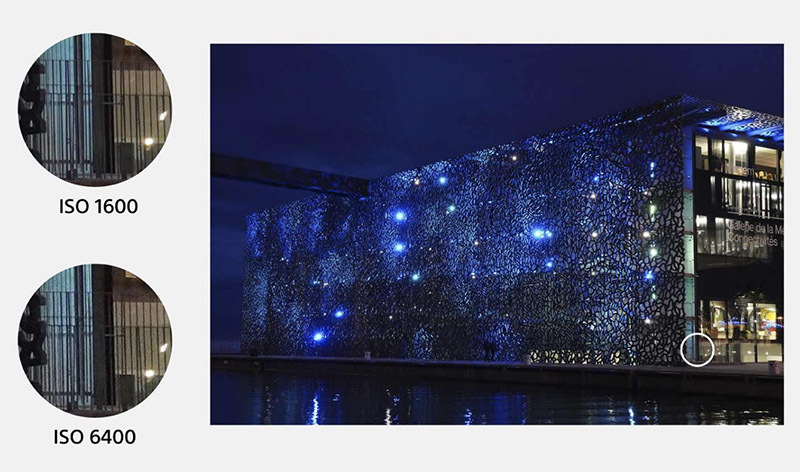 The mechanical shutter offers the fastest continuous shooting mode on all five cameras. The a6500, a6400, a6300 and a6000 can all shoot up to a maximum of 11fps (Hi+), but at this setting you lose live-view (you see the last picture taken instead of a live view of your scene) and will notice more blackouts on the EVF or LCD screen. When you select 8fps (Hi) then you get live-view and very short blackouts making it far easier to track subjects such as birds in flight. The a5100 can only shoot up to 6fps in continuous mode. If you switch to silent shooting with the electronic shutter then the a6400 comes out on top as it can shoot at 8fps, whereas the a6500 and a6300 only support 3fps. 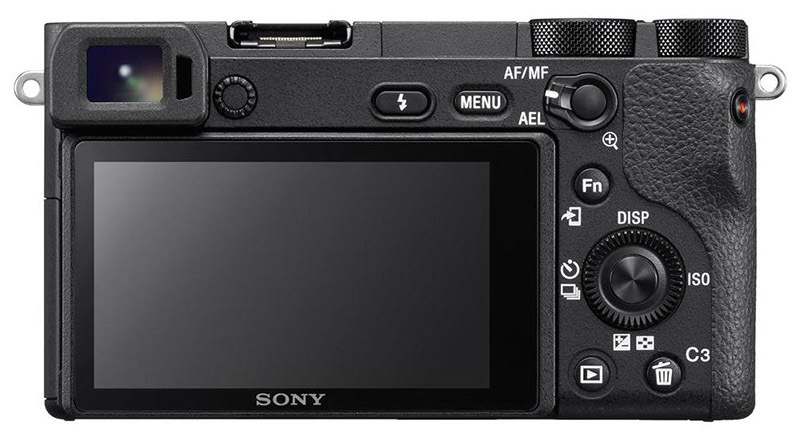 Both the a6000 and a5100 do not offer a silent/electronic shutter option. When it comes to the buffer the a6500 comes out on top as it can record 233 extra fine JPGs or 107 raw files before the buffer is full. The a6400 comes second with 99 extra fine JPGs or 46 raw files. The a6300 manages 44 extra fine JPGs and 21 raw files before the buffer is full which is the same as the a6000. The a5100 surprizingly beats the a6300 and a6000 as it manages 67 extra fine JPGs or 25 raw files before things start to slow down. Of all the cameras the Sony a5100 and a6000 have the most limited ISO range of 100–25600, but this is still going be plenty for the vast majority of situations. The a6300 and a6500 share the same ISO range that goes from 100 to 25600 and is also expandable to 51200. The new a6400 trumps all of the cameras with an ISO range of 100-32000 which is also expandable up to ISO 102400. 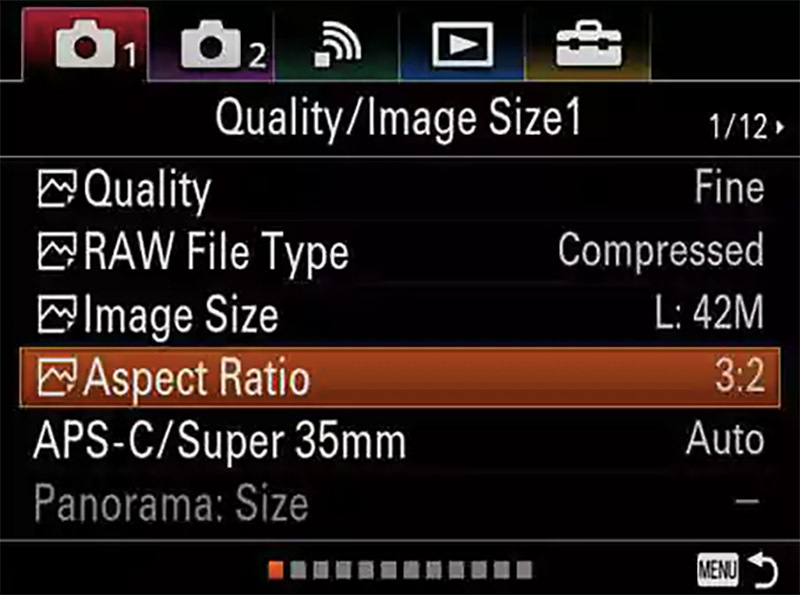 However, in real-world situations it’s unlikely to make too much difference and the image quality at the higher end of the scale is still likely to be very noisy. Still, I’m looking forward to testing this once the a6400 ships (I’ve ordered one). Sony has a pretty poor reputation when it comes to interval (time-lapse) recording, as non of their cameras include it built in, well at least that was the case until the Sony a6400 came along. With the a6400 it appears that Sony has finally listened to what their customer base has been pleading for for years, as you now get time-lapse built-in by default which allows you to set an interval of 1-60 seconds between shots. You also get the option of creating a time-lapse movie with the Imaging Edge desktop suite when it’s updated to v1.4 towards the end of January. Although none of the other APS-C cameras here have the time-lapse function built in, you do have a couple of options available. One is to purchase the Play Memories Time-Lapse App which costs around $10. Alternatively you will need to purchase an external intervalometer like the PIXEL FSK *. Sony has really come along way with their video offerings since the a5100 was launched in August 2014 and limited to 1080p (Full HD) at 60/30fps and 24p (50/25/24 in PAL markets). 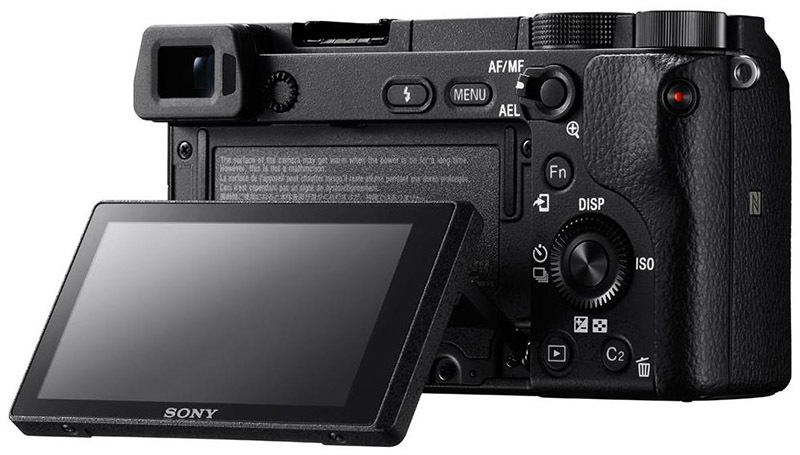 The Sony a6000 also offers the same video specs found in the a5100 and neither camera features a microphone port for connecting an external mic. 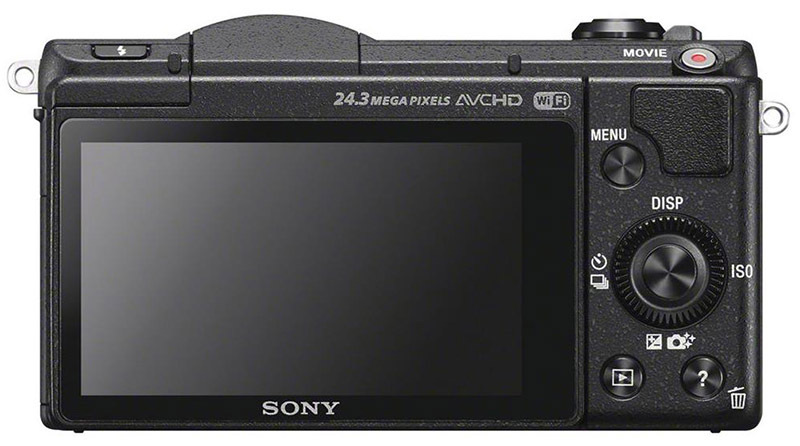 With the introduction of the a6300 Sony really upped their game by introducing 4k video recording for the first time in their APS-C camera series. The a6300, a6400 and a6500 all offer 4K video recording at 30fps / 100mbps with full pixel readout and no pixel binning, as well as Full HD at 120fps / 100mbps. Sony demonstrates the v-logging potential of the a6400 in this promo video. With the a6300, a6400 and a6500 you also get picture profiles including S-Log 2 and 3, PP1-PP10, Black level, and more, as well as slow motion (up to 5x) and quick motion (up to 60x) that can be recorded in camera in high-quality Full HD. The a6400 is the only camera that includes HLG support that results in better-looking movies. The a6400 also gets improved autofocus performance for movie recording and touch to track. Both the a6400 and the a6500 are the only cameras that allow you to extract 8mb stills from 4k video footage. The a6400 is the only camera in Sony’s APS-C series that lets you record a single video for longer than 30 minutes, the other cameras will all stop recording at 29:50. Pascal Eckhardt demonstrates the 4k capabilities of the a6500 by shooting this awesome cinematic video in Austria. As you can see the weight jumped by over 50g starting with the a6300, this is because Sony decided to make the a6300/a6400/a6500 dust and moisture resistant. These measures include sealing around the buttons and dials, as well as a protective double-layered structure that tightly interlocks panels and components. It’s goes without saying that these additional components added some weight. The heaviest of the five cameras is the a6500, this extra weight is largely thanks to the IBIS mechanism. In addition to the new dust and moisture resistant design from the a6300 onwards, the cameras also have a larger grip that makes holding them a lot more comfortable than the a5100 and a6000 which both feature smaller and less ergonomic grips. The a6500 has the largest grip. 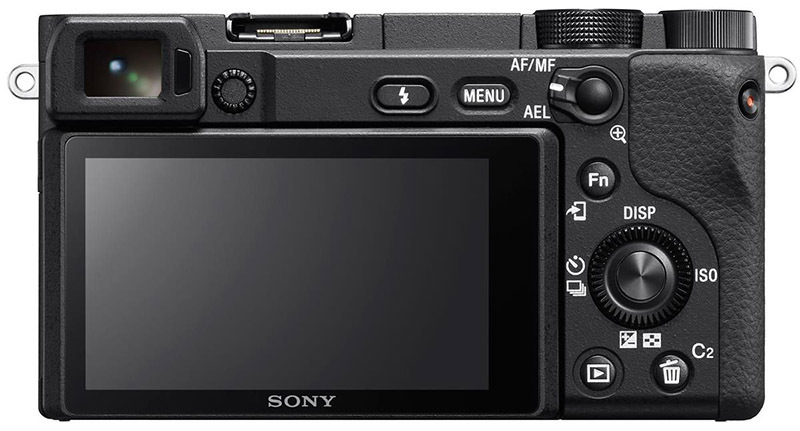 When it comes to the physical controls the a5100 is the most basic of the five, and on top of the camera body you will only find a zoom toggle that surrounds the shutter button. There are also less buttons on the rear panel than the other cameras. The a6300, a6400, and a6500 share practically identical controls. However on the a6500 you will find two custom buttons on the top panel whereas both the a6300 and a6400 only have one. 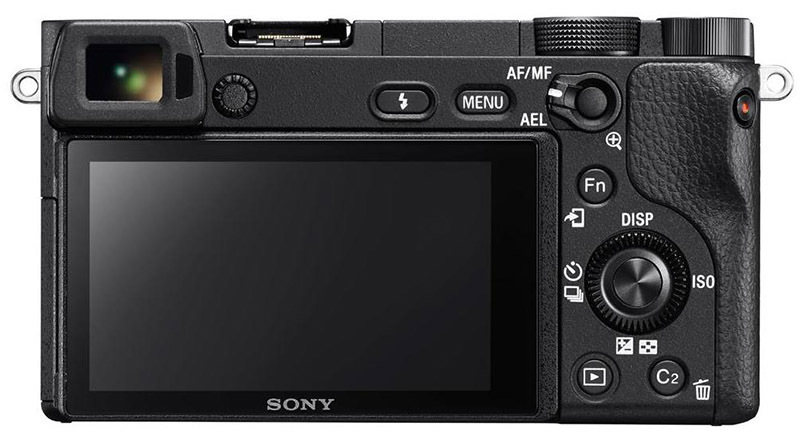 All cameras except for the a5100 feature a hot shoe on top of the body, and all cameras except for the a5100 and a6000 also include a microphone jack for connecting an external microphone. All cameras also include a built-in pop-up flash, however the a6000/a6300/a6400/a6500 all include additional flash modes including wireless control and high-speed sync (1/160 sec) with compatible external flashes. The a5100, a6000 and a6300 all feature menu systems that are not exactly the most intuitive or user friendly of designs. Thankfully a few improvements came to the menu system with the introduction of the a6500 and even more improvements with the a6400. The a6500 has a redesigned menu with a new categorization scheme. Now, the group name being selected can be found at the screen top, and each tab is colored differently. This allows quick access to desired menu items, which enables you to change settings smoothly even during shooting. With the a6400 Sony have further improved on the menu by adding My Menu and My Dial features. My Dial lets you assign frequently used functions to the control dial and control wheel for faster access when you’re shooting. Whilst My Menu allows registration of up to 30 different menu items for quick access to menu items you use often, this is a feature that you will find on the a7 III, a7R III and a9 as well. The a6400 also gets a visualized setup screen for customization. 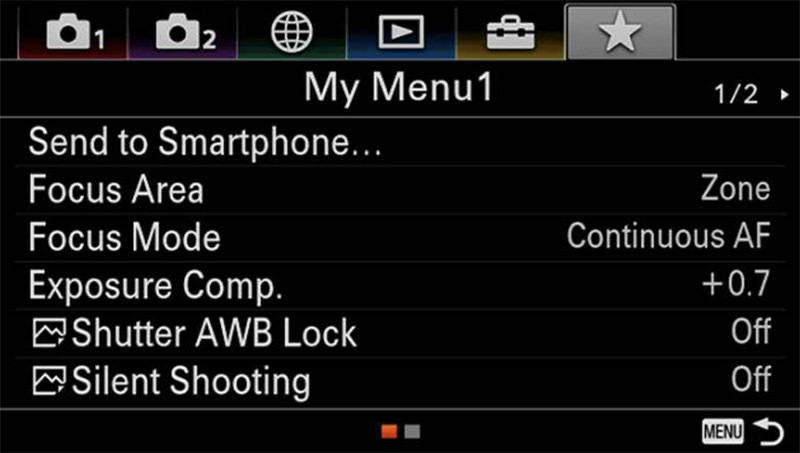 On the custom settings screen, an illustration showing the camera’s operable components shows you at a glance which button or switch you’re assigning, and when you’re setting up the function menu you can view the structure of the actual function screen. Sony’s menu system may not be the most intuitive of camera menus out there, but thankfully they are taking a few steps in the right direction, even if they are just baby steps. Please note that prices vary between retailers and there are often special deals running throughout the year. These prices are therefore guide prices for comparison only, please check the latest prices and deals using my price check links at the end of this article. All five cameras are perfectly capable of taking incredible images, and if I took the same image on each camera I’d bet a considerable amount of money that you wouldn’t be able to identify correctly which camera took which image, this is how similar they are when it comes to image quality. Moving past image quality we definitely start to see a number of clear differences between these cameras, with both the a6400 and a6500 packing in the most features. Your decision as to which camera you buy might ultimately come down to the budget that you have available. There’s only around $100 difference in price between the a5100 and the a6000, but if you don’t need the flip-up screen then my advice would be to go for the a6000. With the a6000 you are getting the EVF which is invaluable when shooting in bright sunshine, as well as more physical controls on the body itself. If you can stretch to the a6300 then you also get 4k video recording as well as a dust and moisture resistant body which is great if you shoot in inclement weather conditions. You’ll also get a much better AF system. With the real-time tracking and animal AF the new a6400 really packs a solid punch, in-fact I only see a couple of real benefits to purchasing the range-topping a6500 over the a6400. The first benefit would be for IBIS, but this is only really helpful if you are shooting handheld with lenses that don’t include OSS built-in. The second benefit is that the continuous shooting buffer in the a6500 is double the size of that in the a6400, so if you shoot a lot of sports or fast action then the a6500 might be the better choice. If neither IBIS or the larger image buffer are a concern then save yourself $300 and order the a6400. Despite owning the a6500 I have just pre-ordered the a6400 and anticipate that my a6500 will be collecting a considerable amount of dust going forward. All cameras are available to order today. 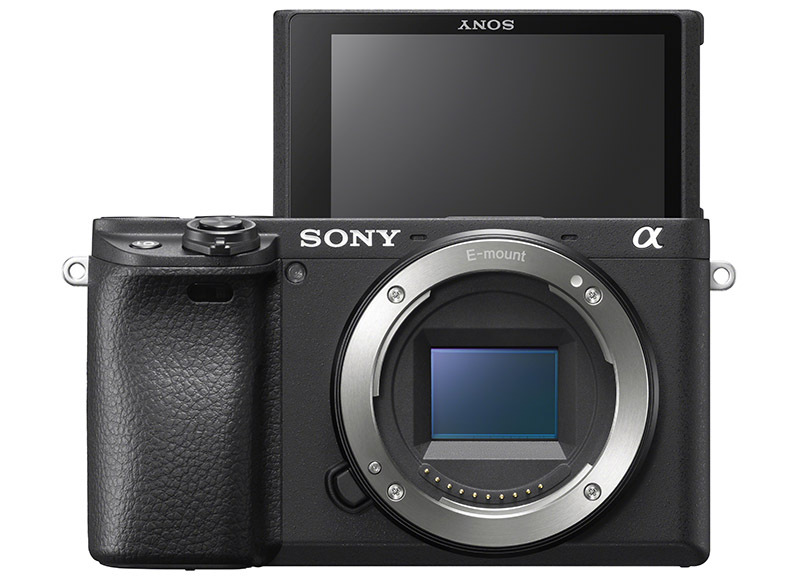 The latest a6400 is currently pre-order only but is expected to ship in the US and Europe around the middle of February. It would be great to hear in the comments below which camera you own or plan to buy and your reasons for doing so. Also if you have any questions on any of the cameras please do also drop a comment below and I’ll do my best to help. Finally if you are on Facebook it would be great to see you in one of the many friendly niche Alpha Shooters Groups that I run.